Four section perforated top. Two separated screw mechanism fitted with collapsible fix handle for backrest & kneerest. 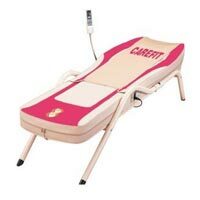 Head & foot bows are equal height fitted with molded panels. Four side saline arrangement location. Leg fitted with shoes. Finish pretested in 11 tank hot process & powder coated. Frame work made of Rectangular / Square M.S. Tube Top made of Welded Wire Mesh. Tubular Head & Foot Bows of unequal height. Location for Four I.V. Rod. Overall Size: 206L x 90W x 60H cms. Finish: Epoxy Powder Coated. 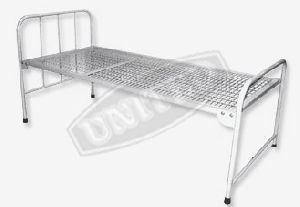 Dimensions : Approx.2060 x 900 x 600mm (L x W x H). 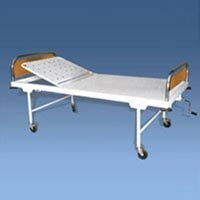 Spine Care Medical Instruments Pvt. 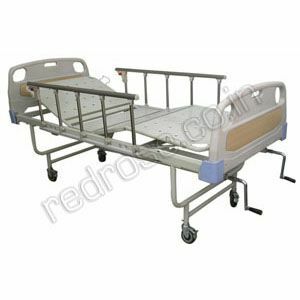 Ltd.
Avail from us Hospital Ward Beds that are available in different sizes and designs. 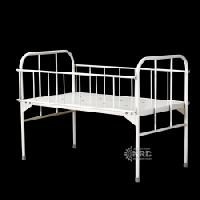 The Hospital Ward Beds are made from quality steel, etc. and thus last long. 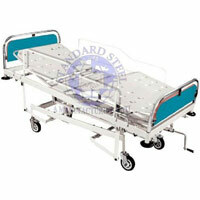 Our cost-effective Hospital Ward Beds can be purchased as per requirement from us. 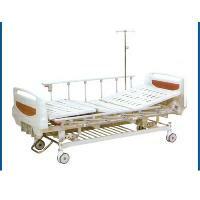 We are trusted name as Hospital Ward Beds Manufacturer and Supplier in Bhiwani, Haryana. Four section. MS rectangular tube framework. 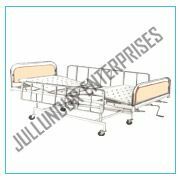 CRC sheet top with perforations ABS molded Head & Foot boards. Mounted on 100mm diameter castor wheels, two with brakes. 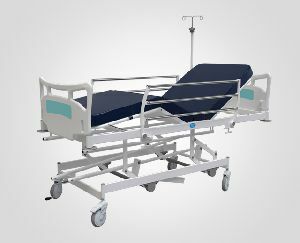 With collapsible side-railings and four locations for attaching IV hook rod. Fowler's positions are maneuvered by separate screws located at the Foot end. 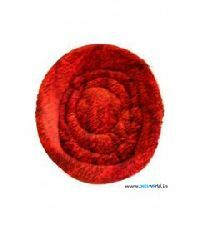 Dimensions (LXWXH): 2060X900X600mm.Pre-treated & Epoxy powder coated finish. 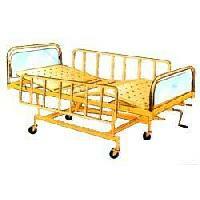 We are offering ward beds.1. 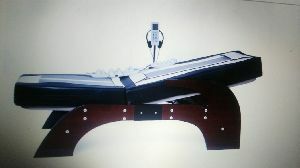 Frame made of strong rectangular crca pipe and two section crca sheet top. 2. 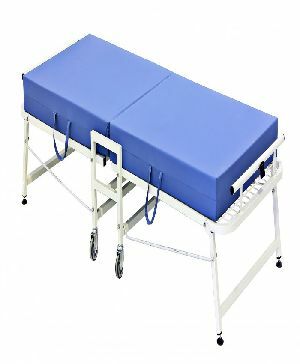 Back-rest positions obtained by ratchet systems. 3. Tubular head and foot bows of unequal height with vertical tube supports. 4. Pre-treated and epoxy powder coated. 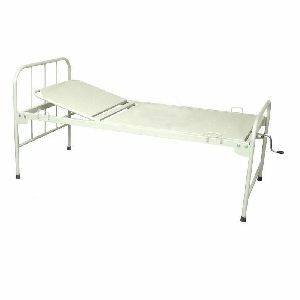 Hospital Ward Bed is used by hospitals to accommodate patients who are recovering or require non-surgical treatments. 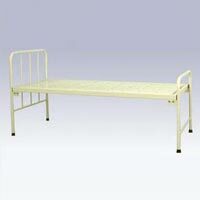 We are trusted and reputed manufacturers of these kinds of beds which are of excellent standards. 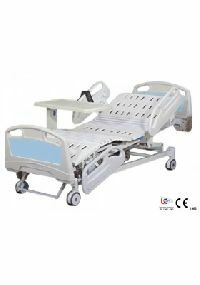 They are preferred and recommended by experts. 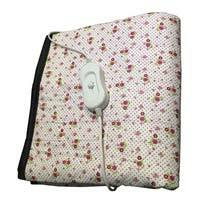 We are wholesale dealers and effortlessly deal in bulk and medium sized orders. 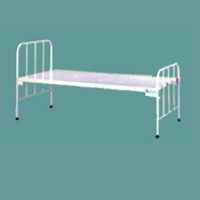 To place an order, please contact us. 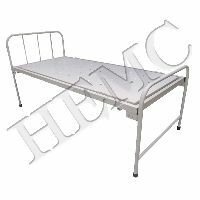 Our company has created a niche in the field of offering Hospital General Ward Bed. 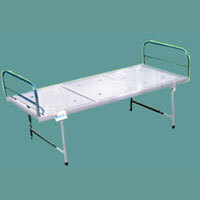 Our company has created a niche in the field of offering Hospital General Ward Bed. Vvm Biotech Infra Pvt. 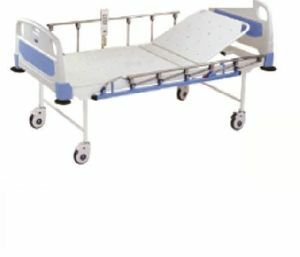 Ltd.
Our company is counted amongst the foremost manufacturers & exporters, wholesalers and suppliers of hospital ward bed in India. 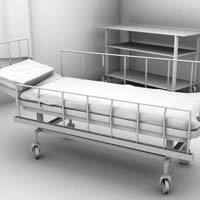 We are offering Intensive Care Bed. 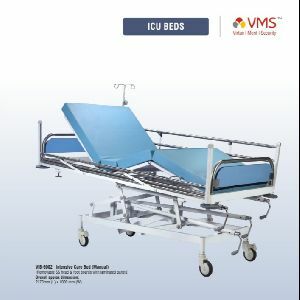 Realizing the need for maximum comfort for patients in ICUs, we source this Intensive Care Bed from certified manufacturers. 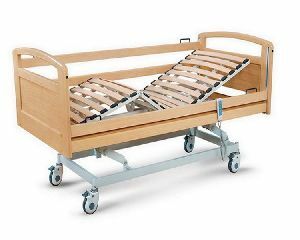 The Intensive Care Bed features adjustable settings and a sturdy frame, making it ideal for patients needing intensive care.